Our range of products include ac servo drives. The team of our company supplies AC Servo Drives - L & T - SGMCS Direct Drive to our clients. 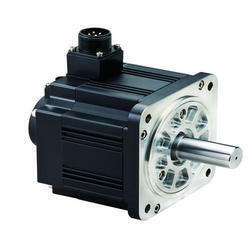 It is used in direct drive applications where motor surface is directly attached to the load. This product is highly appreciated as it reduces the number of mechanical components and offers smooth run to high dynamic applications. They carry low speed windings, bearings and 1,04,8576 PPR absolute encoders and are presented with 200 volt windings with maximum speed of 500 revolutions per minute.